How does rock music impact culture? According to authors B. Lee Cooper and Wayne S. Haney, it is central to the definition of society and has had a great impact on shaping American culture. In Rock Music in American Popular Culture, insightful essays and book reviews explore ways popular culture items can be used to explore American values. This fascinating book is arranged alphabetically for quick and easy reference to specific topics, but the book is equally enjoyable to read straight through. 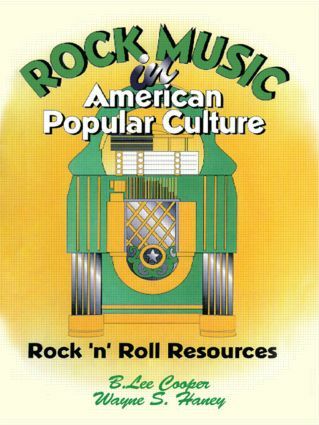 The influence of rock era music is evident throughout the text, demonstrating how various topics in the popular culture field are interconnected. Students in popular culture survey courses and American studies classes will be fascinated by these unique explorations of how family businesses, games, nursery rhymes, rock and roll legends, and other musical ventures shed light on our society and how they have shaped American values over the years.